Wisecrack, the great minds behind the popular web shows Thug Notes and 8-Bit Philosophy, bring you "Earthling Cinema", a new series where host Garyx Wormuloid, an alien anthropologist, tries to understand the extinct human race through the only relics he has at his disposal: movies. "Welcome to Earthling Cinema, where we examine the last remaining artifacts of a once-proud culture and try to understand what human lives were like before the galactic civil war that destroyed their planet." 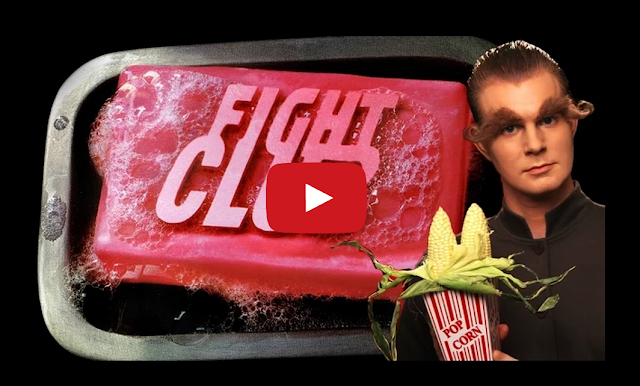 In the first episode, Garyx (Mark Schroeder) provides analysis on the 1999 film Fight Club.